Iran has sharply stepped up its controversial uranium enrichment drive, the UN nuclear agency said yesterday in a report that will further inflame Israeli fears the Islamic Republic is pushing ahead with atomic bomb plans. 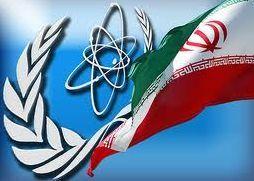 "The Agency continues to have serious concerns regarding possible military dimensions to Iran's nuclear program," the International Atomic Energy Agency said in a quarterly report about Iran issued to member states. Iran's increase of work that can have both civilian and military purposes underlines that it has no intention of backing down in a long-running dispute with the West that has sparked fears of war. IAEA's findings, which added to concerns that Iran's tensions with the West would escalate.